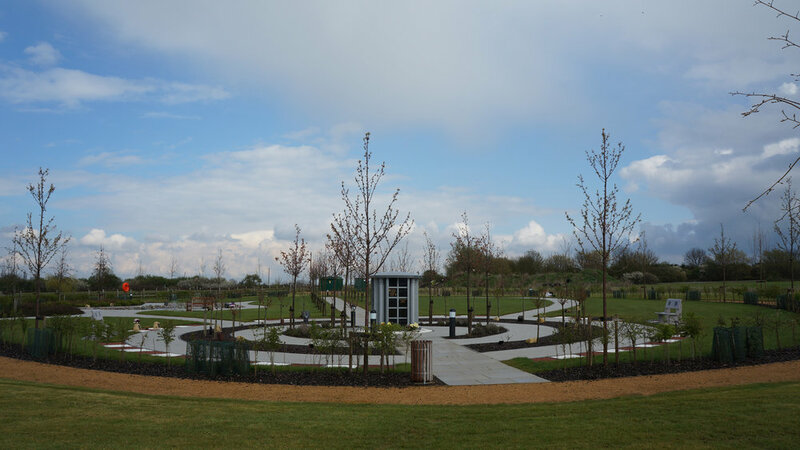 The Practice has been involved with several new Crematoria in sites across the country. Near Fradley, Staffordshire, the development included areas of substantial native tree and shrub planting. 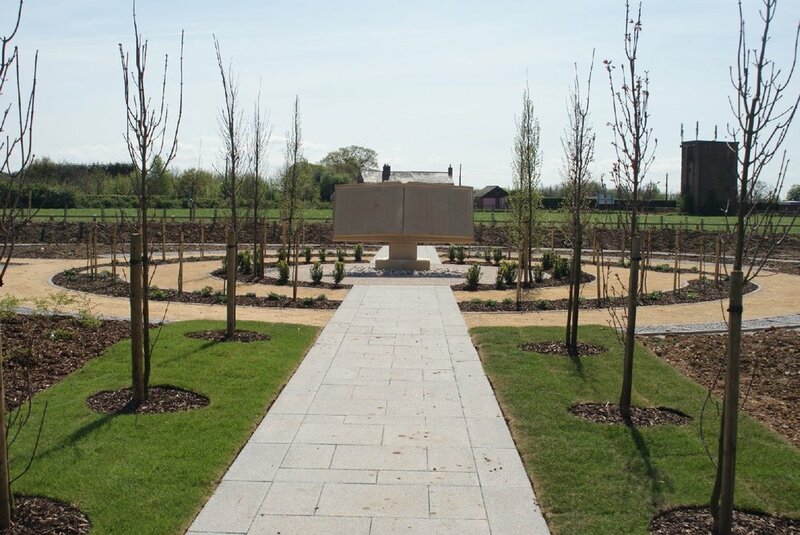 Substantial native tree and shrub planting for habitat creation and boundary hedgerow repair, the site has been planted with more ornamental tree species such as Cedar to create a traditional parkland type setting to the Crematorium. Extensive areas of permanent grass field margins were created to allow for shelter and foraging of certain bird species. In addition a new pond were created, purely to enhance the bio-diversity of the site. Mendip Crematorium is located near to the Somerset towns of Wells and Shepton Mallet and serves the surrounding areas. ISL Associates Ltd were commissioned to carry out a Landscape & Visual Appraisal of the site to highlight any potential issues and reassure the local authority that the development would not be harmful to the landscape character of the area. An overall Landscape Strategy for the site was prepared which included significant new areas of native tree and shrub planting, wildflower meadows and aquatic habitat. Detail designs were also prepared for the Memorial Gardens shown below.